Learn to Make REAL Homemade Broths and Soups! The many potential health benefits of homemade bone broths, including gut health, joint health, skin health, bone health and improved sleep. Why most store-bought broths and soups are made with chemicals and why they don’t have the same health benefits. How to make the 5 most basic bone broths at home in 5 simple steps. 20 quick and simple broth for breakfast recipes for those rushed morning hours. 10 creamy vegetable soup recipes, including Sweet Potato Coconut Curry and Creamy Carrot-Apple with Cinnamon. 10 Asian noodle soup recipes, including Thai Coconut Curry, Vietnamese Pho and Burmese Mohinga. 10 soup-from-the-sea recipes, including Cioppino and a Basic Bouillabaisse. 10 simple sausage and meatball soup recipes, including Italian Meatball and Portuguese Kale. Craig Fear knows soup. 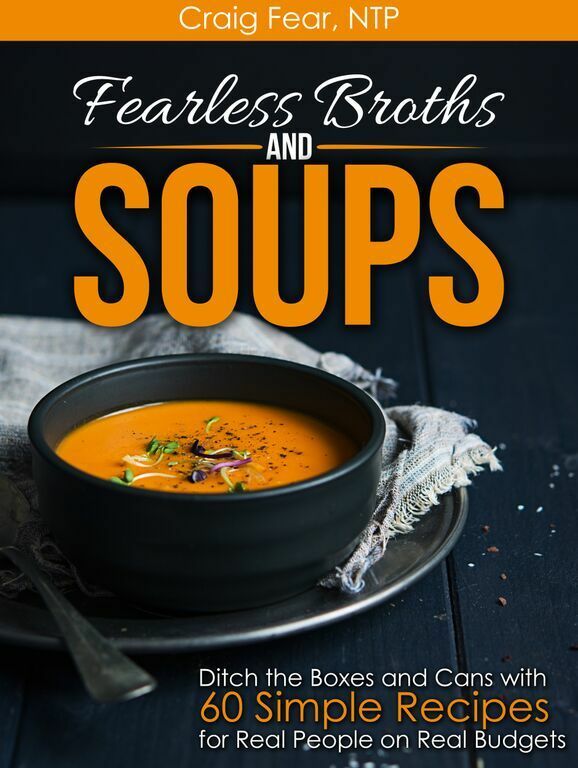 Not in a pretentious, chef-y way, but in a way your grandmother might, and he’s collected his best recipes in Fearless Broths and Soups. Be a cook, not a chef! That’s the central theme throughout the book as all of the recipes are geared to all you stressed out moms and dads and workaholics trying to figure out how to eat well with limited funds and time. Which is pretty much everybody these days, right? All of the recipes are broken down into 3 simple steps that once learned, can be repeated over and over. They also include ideas for simple variations to inspire fresh tastes and creative touches. Affordable, nourishing, and fast–that’s what this book is about. Gain confidence in the kitchen. Get your kids (and fellow adults) to like REAL food like delicious broths with delicious vegetables and meats. Learn how cooking in bulk can save you time and money. Never have another blank stare when asked, “What’s for breakfast, lunch or dinner?” It’s soup! 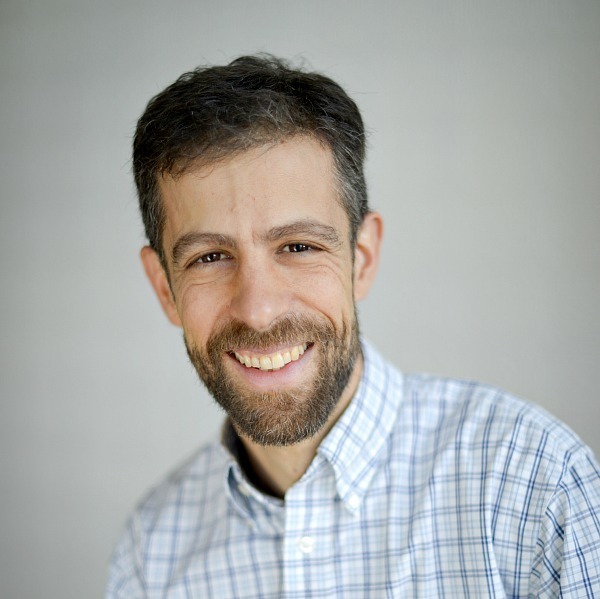 Craig Fear is a former Nutritional Therapy Practitioner (NTP) who helped others with chronic digestive issues. Before becoming an NTP, Craig traveled extensively in southeast Asia, which kickstarted his love of broth and soup. His training as an NTP taught him how real broths and soups help calm digestive issues such as heartburn, GERD, IBS and dysbiosis. 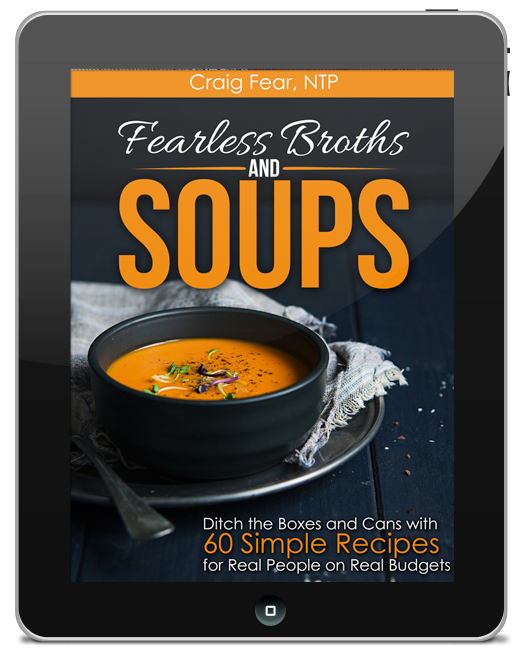 Craig now writes almost exclusively on the subject of broths and soups and is hoping to write many more books in the future. He is also the author of The 30-Day Heartburn Solution and The Thai Soup Secret. Learn how easy, affordable and fun it can be to make your own broths and soups with the added bonus of all their wonderful health benefits. Ready to get 60 mouthwatering recipes right now? Simply click the "Buy Now" button below.